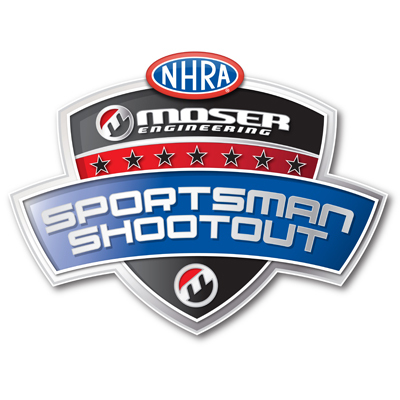 In the final round of the NHRA Moser Sportsman Shootout at Beech Bend Raceway Park and the Lucas Oil Drag Racing Series it was Ed Dudley hoisting the trophy with a final round win over Chris Stephenson. Dudley, Plainfield, Ind., cruised down the quarter mile in a ceremonial victory lap after Stephenson, Tipton, Ind., left early with a foul start in his ’68 Stock entry. Dudley was on his game throughout eliminations in his Top Dragster recording victory runs of 4.195, 4.197 and 4.208 seconds in taking out Jim Prevo in round one, then Dinkel Kynon and former Moser Shootout Champion Jacob Elrod in his semifinal match up. 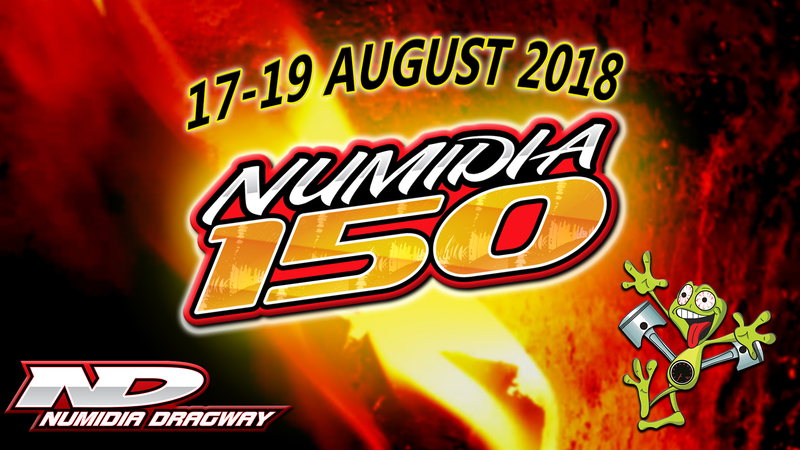 3 Thanks to our coverage partners at DragStory.com and Mark Walter, we present to you the live video feed from the Numidia 150 bracket race at Numidia Dragway. 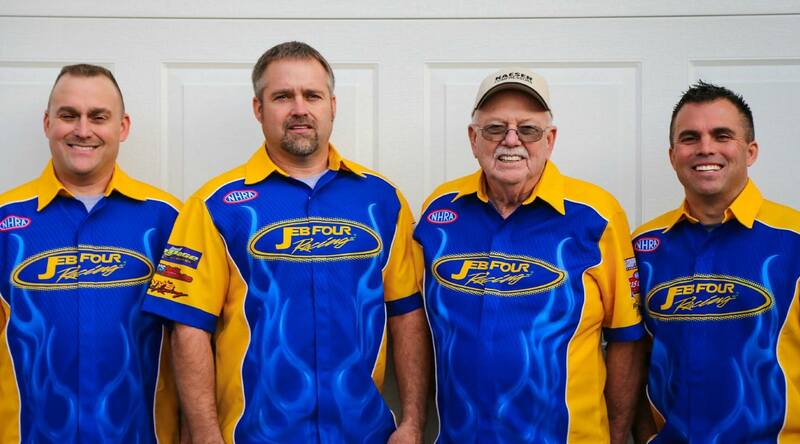 Every winter NHRA Top Sportsman racer Jeff Brooks goes through the same motions in preparation for the upcoming season. He and his team go through all their racing equipment, replace what’s needed, and freshen the motor, rear end, and transmission. It’s the same thing he has done for 26 years. The Gateway to the West has long been a hotbed of motorsports, whether it’s NASCAR Hall of Famer Rusty Wallace, the great dirt tracks owned by St. Louis native Ken Schrader, or the incredible drag racing at Gateway Motorsports Park that dates back to when cars ran the other way. Monster Muscle Car Weekend at Gateway continues the tradition of must-see drag racing with the Demon and Hellcat Nationals. 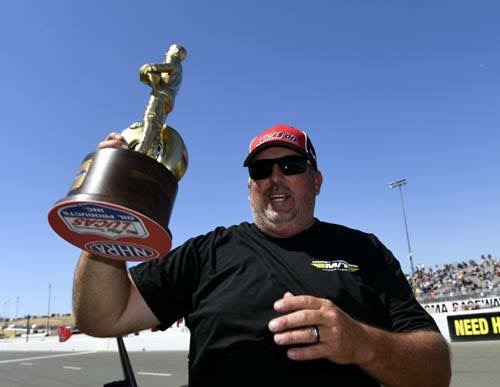 Paul Nero has been racing in NHRA's Top Dragster class since 2010 and in other classes and events before then, but only recently did he decide to compete for a national championship, and he's doing better than most other racers would in such a short time chasing a title. "I had been concentrating mostly on divisional events, but last year we decided to seriously focus on national events as well," he said. "I figured I had the equipment and the car and the resources to do it. Plus, I know my car is not the fastest, and at some point the class is going to get out of range and go faster, so it was now or never. So far it has worked out pretty good both years." Richardson, Santa Clarita, Calif., worked his way through the field in Top Dragster and ran 28.098 seconds192.66 mph in his final round victory over Andy Spiegel, Acton. 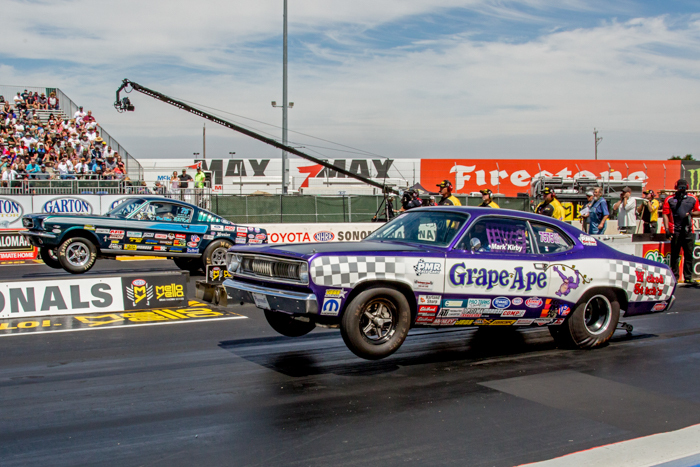 Calif.
NMCA and NMRA invaded Route 66 Raceway for the 13 edition of its combined event, The Super Bowl of Street Legal Drag Racing. 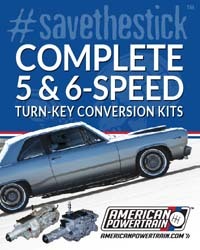 From Pro Mod to True Street, hundreds of cars have entered the gates of the world class race plant in Joliet, Illinois.